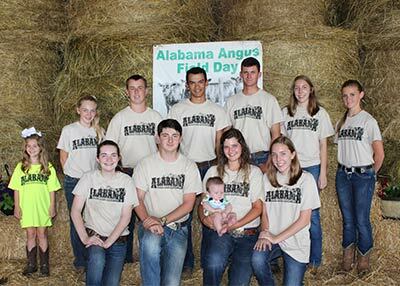 High school seniors and college students wishing to apply for the Richard Dyar Scholarship may request an application from the Alabama Angus Association. Applications will be due at the annual meeting April 18th and will be awarded at the Field Day in June. High school seniors and college students can also apply for the Women's Scholarship. The application is available online or by contacting Debbie Graydon at graydonfarm@att.net. 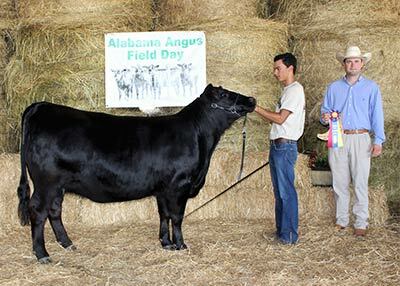 Angus exhibitors led 11 entries at the 2017 Alabama Angus Association Field Day and Junior Preview Show, June 3 in Oxford, AL. 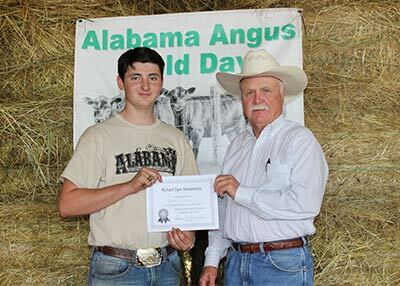 Chandler Akins, Nashville, GA, evaluated the entries before naming champions. Photos by Mark Sims, American Angus Association. Birge Farms Titus 423D won Grand Champion Bred-and-Owned Bull at the 2017 Alabama Angus Association Field Day and Junior Preview Show, June 3 in Oxford, AL Case Birge, Graceville, FL, owns the October 2016 son of S A V Brilliance 8077. 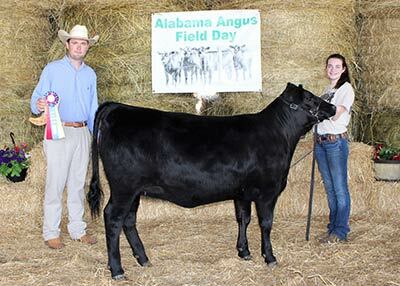 McGuire Esteem 528 won Grand Champion Bred-and-Owned Female at the 2017 Alabama Angus Association Field Day and Junior Preview Show, June 3, in Oxford, AL. Reid McGuire, Waverly, AL, owns the November 2015 daughter of S A V Momentum 9274. 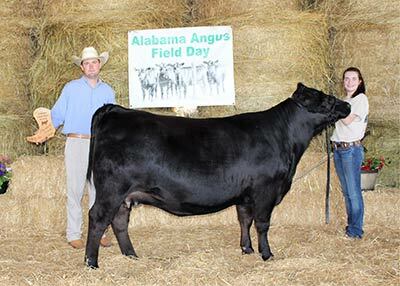 Graves Flora Rose A E G 606 won Reserve Grand Champion Bred-and-Owned Female at the 2017 Alabama Angus Association Field Day and Junior Preview Show, June 3 in Oxford, AL Audra Graves, Cleveland, AL, owns the September 2016 daughter of Leachman Saugahatchee 3000C. 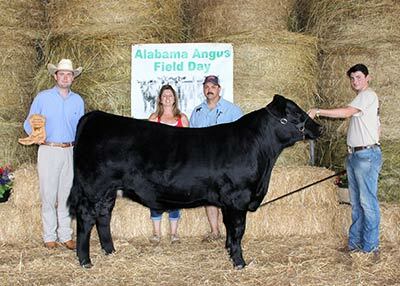 BCII Zoey 5416 won Reserve Grand Champion Owned Female at the 2017 Alabama Angus Association Field Day and Junior Preview Show, June 3 in Oxford, AL. 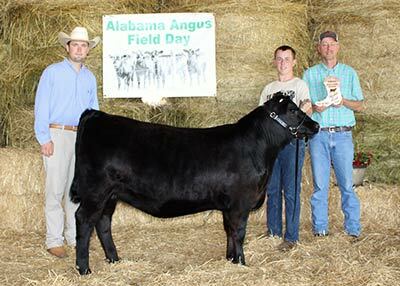 John Thrower, Arab, AL, owns the November 2016 daughter of Greene Pokerface 1304. 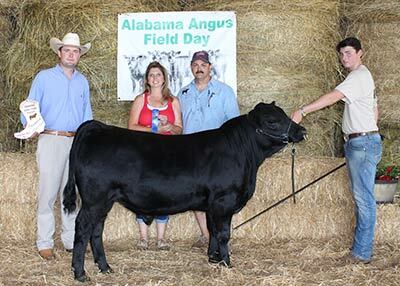 AAM Insight 3165 won Grand Champion Steer at the 2017 Alabama Angus Association Field Day and Junior Preview Show, June 3 in Oxford, AL Case Birge, Graceville, FL, owns the March 2016 son of PVF Insight 0129. 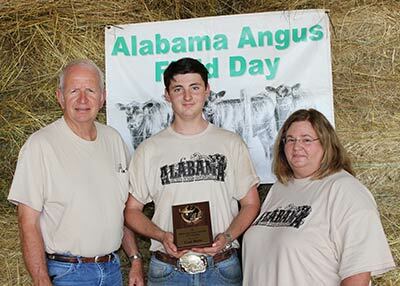 Case Birge, Graceville, FL center, received the Alabama Angus Association Auxiliary Scholarship at the 2017 Alabama Angus Association Field Day and Junior Preview Show, June 3 in Oxford, AL Pictured presenting the award are Mahlon Richburg, Alabama Angus Association, left, and June Wood, Alabama Angus Auxiliary, right. Chandler Langley, Camp Hill, AL. left, won top honors in Senior Showmanship at the 2017 Alabama Angus Association Field Day and Junior Preview Show, June 3 in Oxford, AL. Also pictured is Chandler Akins, Judge, right. 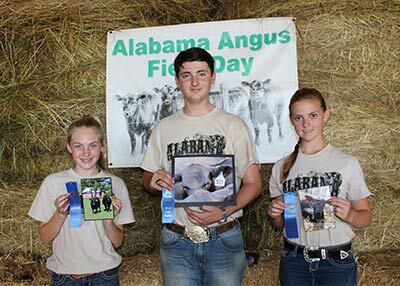 These junior Angus members won top honors in Intermediate Showmanship at the 2016 Alabama Angus Association Field Day and Junior Preview Show, June 4 in Rogersville, AL. Pictured from left are John Thrower, Arab, AL, Fourth; Chelsea Langley, Camp Hill, AL Third; Case Birge, Graceville, FL, Second; Audra Graves, Cleveland, AL, First; and Chandler Akins, Judge. 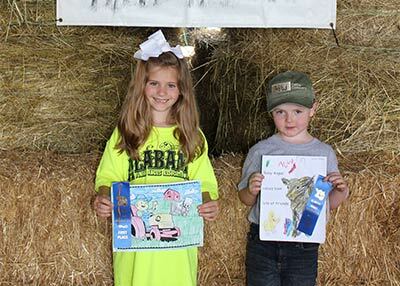 These junior Angus members placed in the Photography Contest at the 2017 Alabama Angus Association Field Day and Junior Preview Show, June 3 in Oxford, AL. Pictured from left are Allie Long, Fayette, AL, Junior Division; Case Birge, Graceville, FL, Senior Division; and Elizabeth Griffith, Hokes Bluff, AL, Intermediate Division. 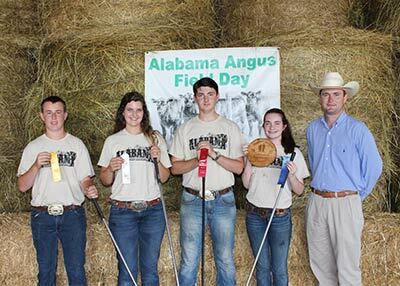 These young men and women were elected to serve on the Alabama Junior Angus Association Board of directors and are pictured at the 2017 Alabama Angus Association Field Day and Junior Preview Show, June 3 in Oxford, AL. Pictured kneeling from left are Audra Graves, Cleveland, AL, President; Case Birge, Graceville, FL, Vice President; Chelsea Langley, Camp Hill, AL, Secretary-Treasurer, holding Reason Rutherford, Starkville, MI, future member; and Layton Adams, Union Springs, AL, Reporter. Pictured standing from left are Kynleigh Wood, Holly Pond, AL, future member; Allie Long, Fayette, AL; John Thrower, Arab, AL; Reid McGuire, Waverly, AL; Chandler Langley, Camp Hill, AL; Aspen Adams, Union Springs, AL; and Elizabeth Griffith, Hokes Bluff, AL. 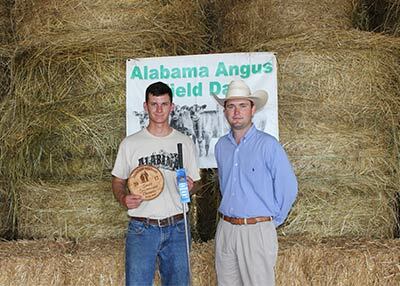 Case Birge, Graceville, FL, left, received the Richard Dyar Scholarship at the 2017 Alabama Angus Association Field Day and Junior Preview Show, June 3 in Oxford, AL. Also pictured is Richard Dyar, presenting, right.